Y/N is a A/T robot made by the kid genius 'Miles "Tails" Prower' or Tails but could it be possible for Tails to have a crush on his own creation? but could it be also possible for Y/N to have feelings for her creator as she likes to call him "Master"? Welp.. let us find out! it was a fresh day on earth it was normal but the aura around where (Y/N) or as she is known better Goggles the Tails super fan was living her friends called her Goggles cause she would never take off her goggles she had (H/L) (H/C) hair and Bright (E/C) eyes and loved to sing, play sonic games, draw and most of the time work on technology her parents had died a few years back and she was now 17 she was working on her latest project super goggles she failed but strangely she saw something in them a strange aura leading her to her house. You are wondering why do I need to know this? well that's because YOU ARE GOGGLES!. For 12 years you were alone. Then you met Sonic and the gang and your life instantly became better. But what happens when you fall for a certain 2-tailed fox? (Sonic Boom) (Tails and you are 15, Sticks and Amy are 16, Sonic is 17, and Knuckles is 18). damn tails about to bang a wolf that's a girl damn. Everything in 14 year old (Y/N)'s Life was so average... She came home to the same empty house every day after boring day, being a only child with parents that didn't spend any time with their daughter was kind of boring. On top of that she didn't have any friends, correction, she had one friend, Tornado. Tornado and her where really close, close as could be! But what happens when he helps her escape her boring life to come live with him? What will she find? will she find she misses living a boring life? or will she find something that she didn't know she had all along? you're a new recruit to the Sonic Group. 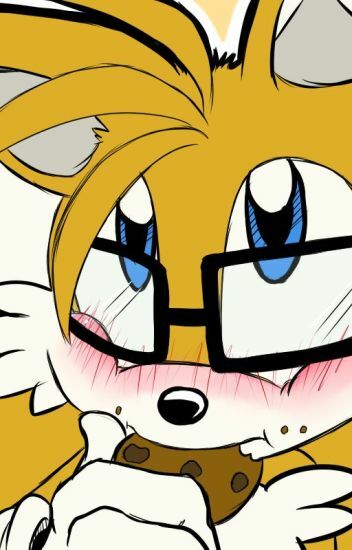 you meet Tails and get a crush on him. Hey guys! aphmaushipper248 here! this is my FIRST story ever so plz don't hate on how I spell, what my story is about , or how I do it. this is a story I wrote on paper first then I'm going to transfer it on to here. thx! THIS IS NOW A ONE-SHOT BOOK!!! You are a girl who is trying to get over a hard time in your life. you think there is no hope for you and your family and friends. until you meet a certain fox who helps you through the hard times. he gives you one thing you long for: hope. but, when he reveals some shocking news to you, everything changes. maybe you were the hope after all.